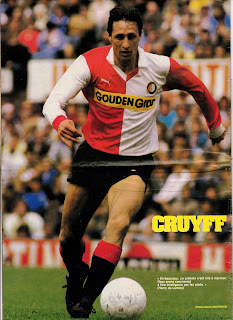 Johann Cruyff had a dispute with the Ajax management over his contract at the end of the 1982/83 season. With the matter unresolved, he angrily joined rivals Feyenoord and helped them clinch the domestic double for the 1983/84 season and retired in style. André Rey breaking his hand in 1978. FC Metz goalkeeper André Rey was to be France’s starting goalkeeper for the 1978 World Cup. 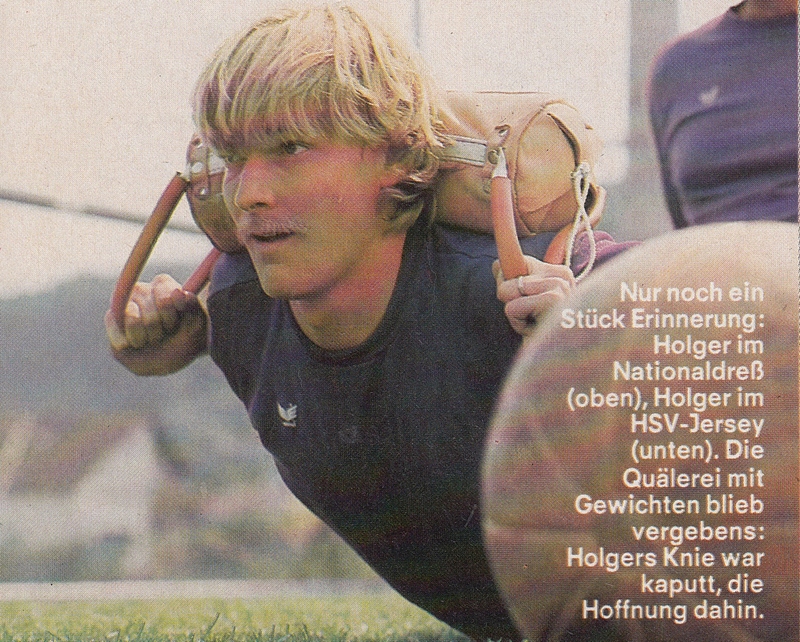 However, on March 12th, 1978, during one of his club’s training sessions, teammate and fellow International defender Patrick Battiston took such a hard shot in training that it broke Rey’s left hand. This effectively ruled him out of the World Cup and future caps. 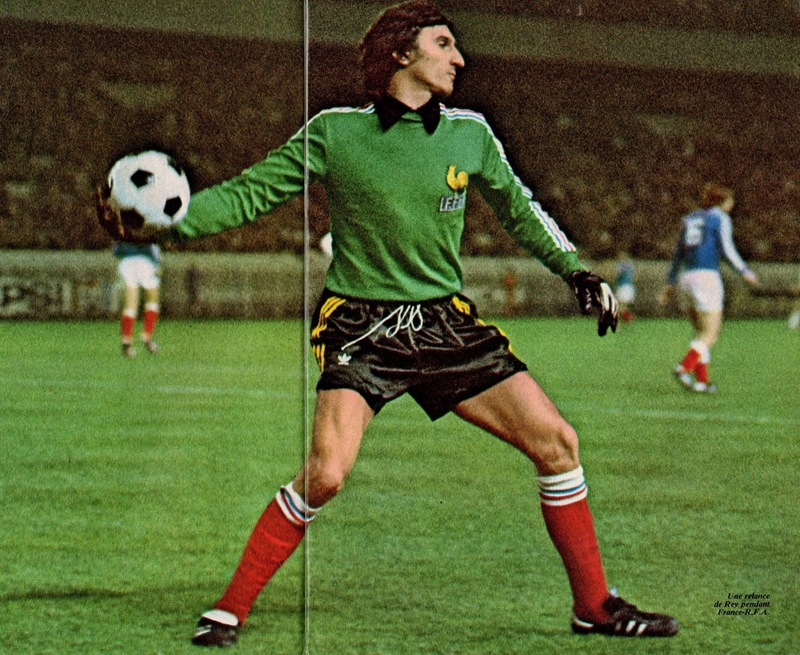 Nantes goalkeeper Jean-Paul Bertrand-Demanes took his place for the World Cup. 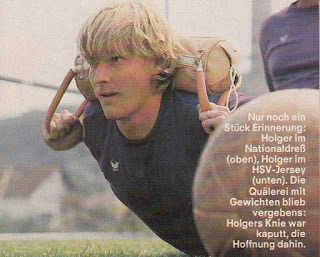 SV Hamburg International defender Holger Hieronymus had a collision with Fritz Walter during a Bundesliga match on March 31, 1984 (SV Hamburg 2-Waldhof Mannheim 3). So severe was the injury that his season was over. He was still suffering from the injury for the following season to such an extent that he missed the entire season. At the end of that season, he decided to put an end to his career at the age of only 26. Everton FC played at Anfield until 1892. But then a dispute arose between Everton Chairman (and Anfield landowner) John Houlding and the Everton Club Committee. Houlding tried to gain control by registering the company as ‘Everton FC and Athletic grounds Ltd’. As a result, the Everton FC left Anfield and went to play at Goodison Park. Houlding tried to take the Everton name and club colors but the English FA refused this request. As a result, Houlding founded Liverpool FC with their home at Anfield to this day. Hungarian club Attila Budapest’s tour in 1934. As part of their tour Hungarian club played a friendly vs. RC Lens in 1934. They realized they were lacking funds for their return trip home. To finance this, they decided to sell one of their players. 19-year old Ladislas Smid (Siklo) was sold for 13,000 French Francs. Siklo stayed at RC Lens for sixteen years, became a naturalized French in 1937 and was even capped by France in 1945. He stayed in his adoptive country for the remainder of his life.